We study the biblical text to be taught on Sunday & meet at Panera off I-77's exit 85 in the Kingsley Complex in Fort Mill, SC. Word of Grace Church is now meeting at the ADVENTURE CENTER! 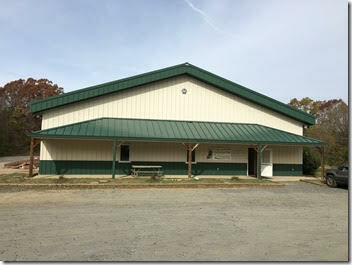 The Adventure Center is located in the Ann Springs Close Greenway in Fort Mill. Continue for 3 miles and look for Ann Spring Close Greenway sign on Right. Turn right. Follow signs to Adventure Center. We will no longer be meeting at 3650 Center Circle, Fort Mill, SC, where we have held our worship services for many years.